I have to say I was very hesitant at first, but I have to tell you that it’s fish forecasts have been spot on the whole summer. 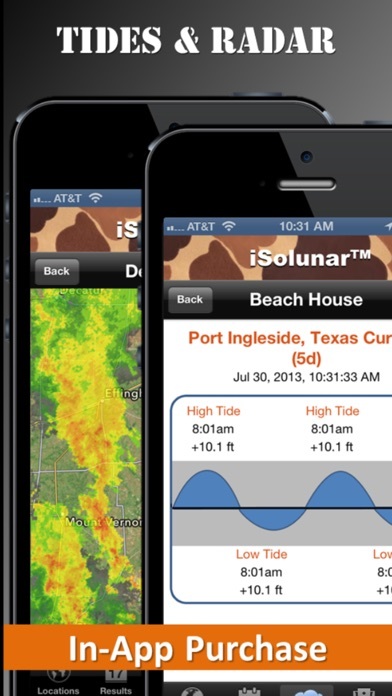 So I’m very impressed with the app I encourage all fishermen to get it. Perfect for the freshwater fisherman. 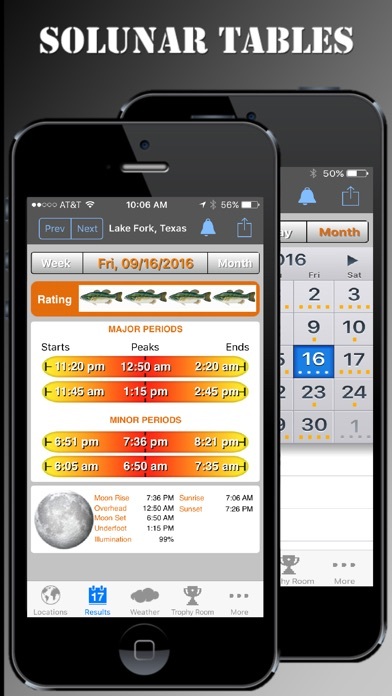 The info is everything you need to know to get more fish by being aware of natures timetables. By Old and crusty ! 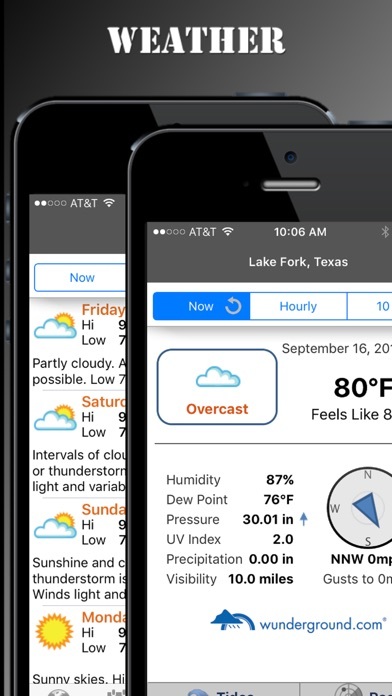 Living in East Texas this App does everything I needed to do have enjoyed it a lot then look forward to using it more this summer. You gotta buy other apps along with this app in order to do what it’s suppose to do in the first place. I’m deleting this! This is one of the most accurate apps out there. Simple to use and self explanatory! 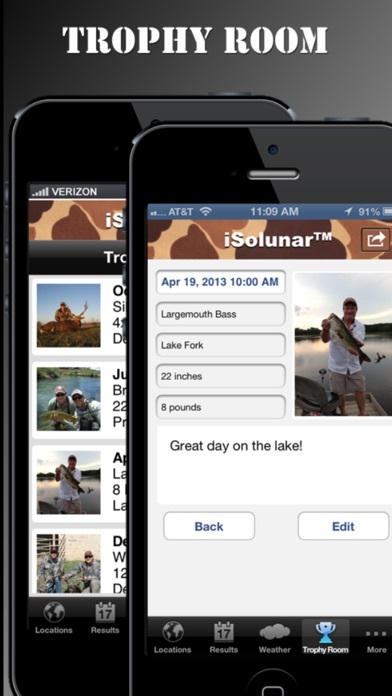 This app is a must have if you are an avid fisherman! I love this app, it definitely helps when I want to go fishing. Works every time for me!! In our country it's late 3 hours than stated in the App. Example in the App the Major activity is 9:00pm but still nothing but in the actual and it take effects 12am. It seems it did not calculate the time based on the time in the selected point in the map.